Leverage your time and help more people make measurable and sustainable changes in their lives than you ever could coaching one client at a time. Coaching groups enables you to be a leader in the field and deliver the most highly profitable coaching service at the same time. Discover what it really takes, where to find your ideal participants, what to avoid, and how to be an elegant and masterful group coach. Apply the principles of group coaching design that make participants want to stay in your groups for years. Understand the difference between enrolling and marketing and become masterful (and have fun) at both! 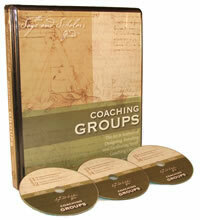 Learn the small group coaching format that makes your group members eager to show up and participate week after week. Discover the key steps of small group facilitation that enable the wisdom of the group to emerge with comfort and ease. Understand the back-end business systems required to support a vibrant group coaching business. Apply the basics of group marketing and enrolling and shortcut the trial and error of experimenting on your own. 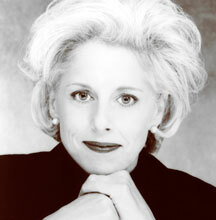 Know how to use Coaching Groups to become an opinion leader in your niche as you promote yourself and your group. Coaches looking to touch the lives of many more people while adding a highly lucrative revenue generator for enhancing their coaching practice and expanding their circle of influence. The program includes a comprehensive 114-page manual in an attractive 3-ring binder, plus three audio CDs.